On Sunday May 5th, communities all across Canada will hike together in the largest single-day hospice fundraising & awareness event in the country. 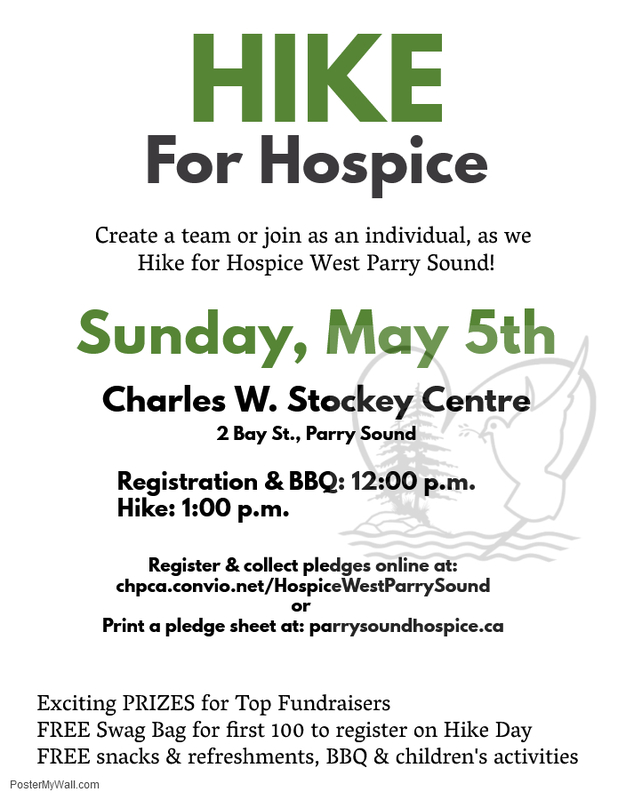 Create a team of friends & family, challenge your co-workers, or join as an individual, as we celebrate our loved ones & raise funds for Hospice West Parry Sound! Register ONLINE today & begin collecting pledges. http://chpca.convio.net/site/TR/Hike/HospiceWestParrySound?pg=entry&fr_id=2041 The hikes takes place at the Stockey Centre (2 Bay St. Parry Sound) & follows the picturesque Fitness Trail, where you can choose to walk or run the 1 km or 3 km routes. Children & pets welcome! Our hike is accessible to families with strollers & those of all fitness levels & abilities This exciting celebration includes: BBQ, hot & cold refreshments, LOTS of children's activities, local vendors, music, a beautiful memorial trail, & MUCH MORE. FREE participant giveaways & AMAZING prizes for TOP individual & team fundraisers (stay tuned for more details!) Help us crush this year's goal of $40,000! ALL money raised stays local & will be used to fund FREE individual & family counseling for those newly diagnosed with a life-threatening illness, as well as respite visits for family caregivers & bereavement supports for adults, children & youth. "Palliative Care is about living and giving meaning to one's life; it's about sharing tears and rejoicing laughter; it's about living with dignity and grace; it's about life, not death. How Can Hospice Help You? If you are caring for a loved one suffering from a serious illness and want to know how Hospice can help, click to learn more. If you have been diagnosed with a terminal illness and want to know how Hospice can help, click to learn more. 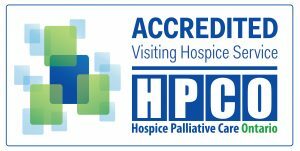 If you have experienced the loss of a loved one, and want to know how Hospice can help, click to learn more. Help to fund hospice programs that would otherwise go unfunded.